How to escape education’s death valley – praxMatrix Digital Publishing Ltd. 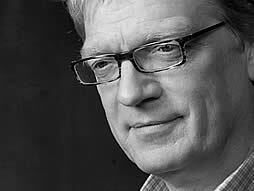 Some time ago I wrote a couple of posts around Ken Robinson’s approach and perspective on education, training and creativity. Recently, probably due more to my own work with client projects than any measurable trend in the education sector, that thinking has started to ‘devolve’ again toward the rigid, ‘top down’, prescriptive learning models that drove learning, and especially online learning, for so many decades. As I say, I may be seeing things through the rather distorted glass of my own projects and how easy-difficult it is to get traction for online learning projects that develop the learner’s creativity, provide a framework that encourage learner curiosity, encourage the learner to take responsibility for their learning and its outcomes and fosters the powerful learning capacities of the learning community and peer-to-peer learning. If this is a broader (and worrying) trend especially within the corporate and organisational learning environments it can be seen, of course, as a corollary of a growing nervousness within organisations to explore new approaches when their budgets are increasingly limited and the pressure to provide measurable outcomes rapidly is increasingly demanded by senior management. Learning as a mechanistic process with limited but clearly defined outcomes returns and learning as a flexible, creative process with unlimited potential and less clearly defined outcomes is rejected as an approach that has too high a quotient of inherent risk. I thought I’d just re-visit Ken Robinson … to keep me on track when I feel slightly overwhelmed by corporate policies driven by ‘hard measurable deliverables’.